Exercise your brain with this set of solitares for Windows. BVS Solitaire Collection 8.1 forWindows XP/7/8/10 is an award-winning collection of 520 solitare card games and it includes a lot of original variations you won't find elsewhere. BVS Solitaire Collection features all the old-time favorites like Spider Solitaire, Bisley, Golf, Monte Carlo, Klondike, Yukon, Crazy Quilt Solitaire, Scorpion, Seahaven Towers, Forty Thieves, Cruel, Russian Solitaire, FreeCell etc. 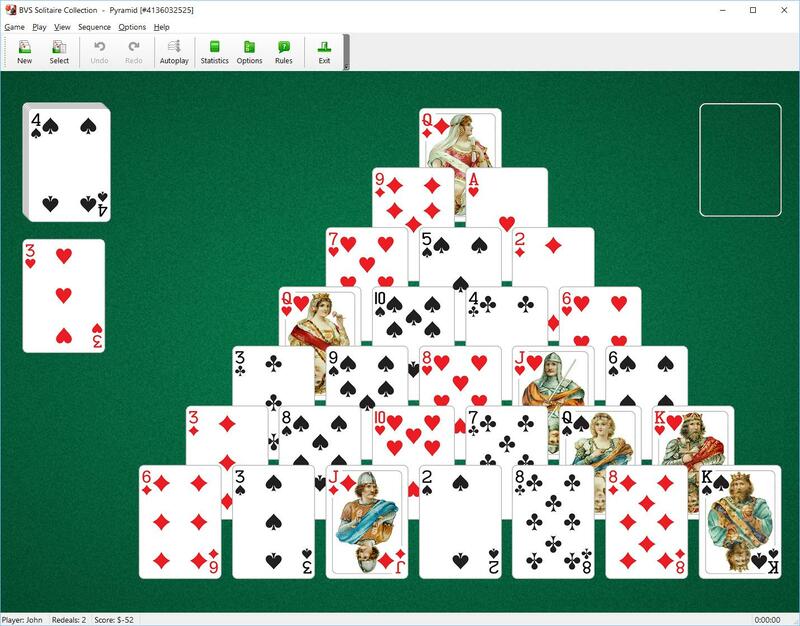 You can create your own solitaire games by modifying the rules of any game included into collection. The whole design of the BVS Solitaire Collection can be fully customized. Registered users can also download Plus Pack with lots of additional backgrounds, card sets and card backs. Handy user-customizable toolbar can be dragged around and docked wherever convenient. The plethora of statistical and scoring screens in BVS Solitaire Collection allows to easily track your performance and progress in playing solitaire. 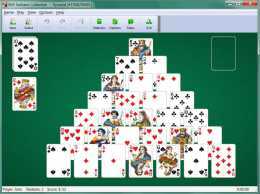 If you are great solitaire fun, this unique solitaire games collection is your best pass to the world of computer card games. Try it now and you won't regret it!